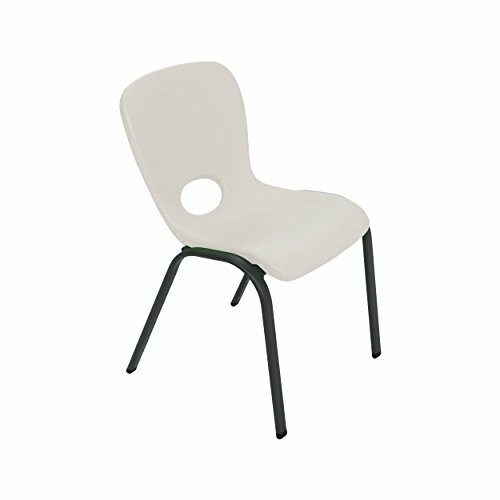 Lifetime Children's Stacking Chairs are made of high-impact polyethylene, contoured for comfort, and designed for durability. Powder-coated tubing increases strength and stability through the life of your child's chair. Lifetime Children's Stacking Chairs are lightweight, easy to clean, and can be used indoor or out for a variety of projects; from snack time, to finger-painting, or games. The convenient design allows you to stack multiple chairs together for easy storage. The chairs are durable and perfect for your child's play or lunch time.